NEW YORK, NY — Insolar has been accepted into the Blockchain in Transport Alliance (BiTA), an organization which aims to drive standards and enable blockchain adoption. BiTA members are entities from the spheres of transportation, logistics, supply chain, freight, technology, and blockchain. Insolar is proud to be welcomed to an alliance that boasts some of the world’s most recognized organizations. Other members include shipping industry giants such as Daimler, FedEx, UPS and Panalpina, in addition to other leading global tech firms that provide systems and IT for supply chains, such as Microsoft, SAP and Google. The alliance brings together the most influential leaders in transportation, finance, and technology with the aim of building the first set of transportation industry-specific blockchain standards and promoting what it terms as the most transformative technology since the internet. 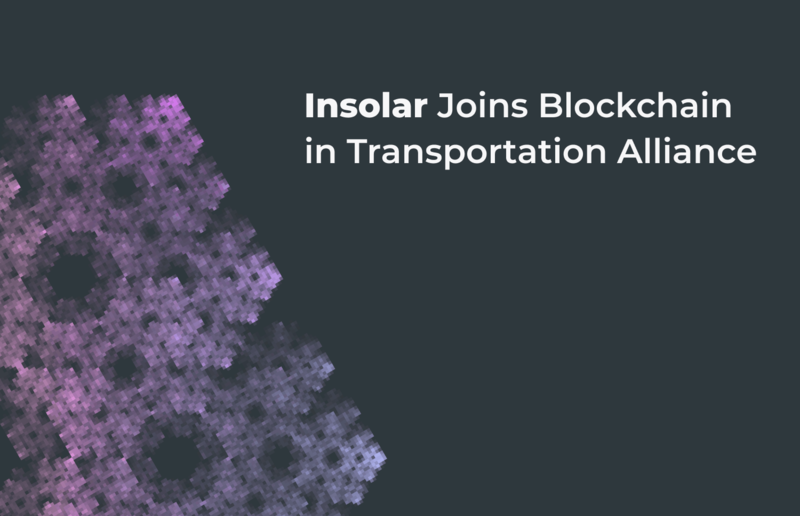 “I would like to take this opportunity to welcome Insolar to the Blockchain in Transport Alliance. The deep blockchain expertise, in addition to specific supply chain use cases for distributed ledger tech that Insolar brings to the table, will advance BiTA’s mission of creating solid standards and furthering blockchain adoption throughout the transportation and logistics industries,” noted BiTA President, Chris Burruss.